I am obsessed with ribbon. The following are my favorite ways to use ribbon because it makes everyday life just a little bit more adorable. Most of these simple ideas can be made with stuff just lying around the house. You can browse bulk ribbon by going here, and start coordinating which colors and patterns you want to use in certain ways. 1. Double knot a ribbon and tie it in a bow around your boring Samsonite luggage. This adds a cute personal touch, and will prevent that awkward and confused moment when you grab a stranger’s luggage. You can use a single ribbon, or go crazy with it, fitting as many as possible onto the handle. 2. Wrap a piece of ribbon around your ponytail and tie a perfect bow. This is classically beautiful, and makes almost any hairstyle look instantly polished. If I realize that my outfit is too dark and drab, a pretty red ribbon in the hair adds life to an otherwise gothic look. 3. Make a photo collage for a loved one, and frame it with the perfect ribbon. I made a black and white mix of photos and glued a bright red ribbon around the edges of a thrift store frame. This turned out to be part of a perfect one year, dating anniversary gift I gave my boyfriend at the time. This idea also happens to be really cheap, so it is great for anybody on a budget. 4. 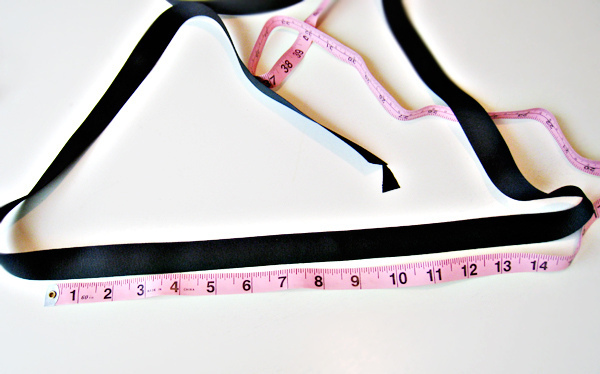 Tie a ribbon around a dress to change the look of your curves. I love this one. Tie the bow and slide it around to the back. This will make your waist look smaller and break up a pattern to add contrast. 5. String up a necklace. If you are like me and have a ton of random pendants lying in a jewelry box that sadly never see the light of day, you can easily repurpose them with ribbon. Get a thin ribbon around ¼ inch wide that matches your outfit and whatever bead you have lying around, and string the necklace however you want. You can also add a clasp to make a more permanent necklace (alternatively you would tie a bow behind your neck). I recommend these jewelry pliers, get the tiny baby ones from Wubbers (cute! ), for opening and closing the small jump rings. 6. Tie about five inches of ribbon around a paperclip to make a non-slip book mark. 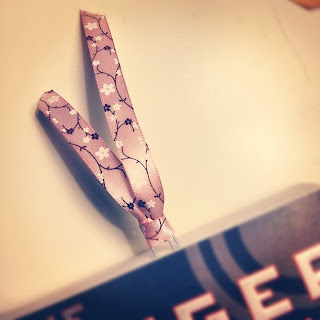 I tend to do most of my reading right at bedtime, and I like that this bookmark allows me to place it directly to the right of the line I start dozing off while reading. 7. Use a real ribbon while gift wrapping. This doubles a gift’s cuteness factor. Even if you are giving the gift to a particularly masculine boyfriend, a bright green or blue ribbon is still appropriate and handy. 8. Tie a ribbon around a canning jar. Canning jars make great containers for dry recipe gifts, lights and even jams or jellies! Whatever you put in the jar, adding a touch of color and decorations will set it off. 9. Use it as a key ring and never chip a nail on those hazardous metal circles again. Make sure to double knot the ribbon so you can rest assured that no keys will go missing. 10. Tie different colors around the stems of wine glasses. Besides adding a cute splash of color to tonight’s glass of wine, it also will help guests at a dinner party keep track of their beverage. Angela Johnson is a freelance writer for HairBow Center. She loves crafting, sewing and DIY projects of all kinds. She lives in Salt Lake City, Utah with her family and two dogs.